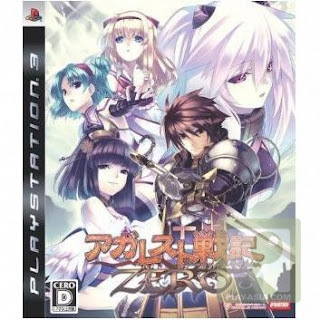 Agarest Zenki Zero is a prelude to Agarest Zenki and the story takes place several ions before the first game. Gameplay-wise, the new RPG maintains the popular Soul Breed and Extend Turn Battle systems and the developers added many new elements such as the Free Intention and Feeling System. These two new systems allow players to fall further into the charms of the heroines and bond with them in an even more realistic setting. Through the active animation system, characters show more expression and are more human. Log onto the network to download game related goodies, Agarest Zenki is creating a fantasy world around you, slip the disc into your console to enjoy it.